Technology advances, cities evolve, and populations adapt, but one thing that never changes is the past. With a past as saturated in history as South Carolina’s, it’s no wonder the state has worked hard to preserve it. Reading about the sights and sounds of yesteryear in history books doesn’t quite deliver the same experience of an up close, in-person encounter. So, calling all American history aficionados, mild enthusiasts, and curiosity seekers, add these 14 must-see historical sites in South Carolina to the bucket list before you become a piece of history yourself. While most tunnels are used for transportation purposes, the Stumphouse Tunnel has done no such thing, mainly because it was never finished. It was started to serve as a connector from Charleston to Knoxville, but funding ran low and the project was abandoned. But that doesn’t mean the tunnel has never served a purpose. Clemson University used the tunnel to cure the first blue cheese ever made in the south, until they duplicated the environment at the university. Visitors can tour a large portion of the tunnel’s length, but safety reasons prevent travelers from going the full distance. This site is known as the birthplace of the Civil War, where the first shots were fired and the battle of North vs. South erupted in full swing in 1861. While the fort surrendered to the Union after a day of heavy shooting, it maintained its stronghold against the enemy in its second battle in 1863. Guests can take a boat to the site and explore the museum. One of South Carolina’s major battle sites in the Revolutionary War, the Cowpens battle site hosts war reenactments to gives viewers a taste (and appreciation) of the hurdles that were cleared to gain the freedom we enjoy today. If reenactments aren’t your thing, the park hosts plenty of other activities throughout the year to fill your quest for American history knowledge. While the original Castle Pinckey was destroyed by a hurricane in 1804, the “new and improved” rebuilding in 1808 is still worth the trip. You won’t be able to tour, as the structure is mostly in overgrown ruins, but the site certainly makes a nice addition to your travel photos. Not one, but two original structures dominate old Oconee Station military compound-turned-trading post. While you’re there, you can hike to the beautiful falls or take a stroll around the fishing pond. Touted as America’s Most Photographed Plantation, it’s easy to see why once you step foot on the grounds. Giant live oak trees line the road leading into the property, the branches of which almost touch and form a tunnel of moss-covered arches. 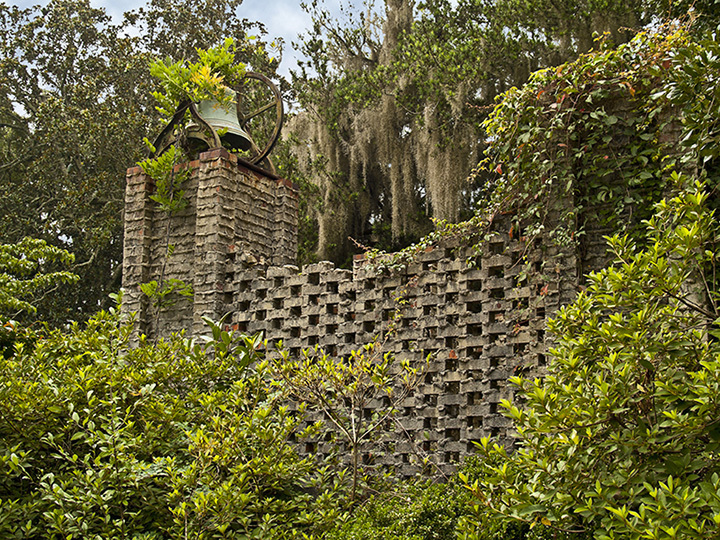 You can tour the plantation and house, as well as the gardens and butterfly pavilion. What was once a thriving epicenter of everyday life now serves as the scenery for weddings and special occasions. This bright yellow mansion now makes the perfect party scene for Charleston socialites, but retains its original elegance and grandeur of the 1820s. William Aiken and his wife, Harriet Lowndes, were avid travelers and known to collect items from their many adventures. You can see some of their treasured finds on display in the house, as well as the one-of-a-kind art gallery constructed by a cousin of Aiken’s. An important battle site during the Revolutionary War, Kings Mountain National Military Park pays homage to a hard-fought victory against the British. With a packed calendar of events year-round, along with monuments and structures, wildlife, and educational programs and resources, every Revolutionary War battle site explorer should mark this one on their road map. A battle site in the Revolutionary War against the British, Fort Moultrie was still under construction when the enemy attacked. However, the British backed down after a nine-hour battle. After the war, there wasn’t much need for the fort, and it was ultimately neglected. A second Fort Moultrie was finished in 1798, but it too fell into abandonment. After the need arose, a third Fort Moultrie was approved and constructed by 1809, which is the structure that delights visitors to this day. Perhaps South Carolina’s only ghost town, Dorchester was once a thriving epicenter of business and residence in the early settlement of the state. It was officially abandoned by the townspeople in 1751, though its downfall began decades prior. Most of the original structures are long gone, but you can still pay a visit to the ruins of the Old White Meeting House and cemetery. Once the home of James Henry Hammond, an attorney, politician, and planter, this site illustrates the experiences of slaves who worked and lived on the plantation. You can tour the mansion and the slave quarters on the magnolia-lined property, wander through the garden, or take a picnic for an alfresco lunch on the lawn. The Rivers Bridge State Historic Site marks one of the last Confederate encounters with Sherman’s forces. Despite numerous Civil War battles being fought throughout the state, this is only one in the state parks system that plays home to a preserved battle site. Who knew that boat rides and butterfly houses could also be educational? Comprised of a zoo horticulture area, and luscious gardens dotted with unique sculptures, this Lowcountry history and wildlife preserve takes visitors on land and water tours of plantations to showcase the beauty and history of South Carolina’s native plants, animals, and heritage. Along the way, you might see alligators, ospreys, and waterfowl in their natural habitat, along with the rich flora of the well-maintained gardens that keeps locals and travelers coming back year after year. Located in Patriot’s Point Naval & Maritime Museum, visitors can climb aboard and explore this World War II aircraft carrier and other historic fixtures in the complex. It also makes the best backdrop for overnight camping trips, where groups can partake in special educational programs and tours and the stay the night on board the ship. View more South Carolina Historical Sites.